WASHINGTON CITY — Washington City residents will now be able to inter the cremated remains of loved ones at the city cemetery with the recent installment of an ossuarium. Setting fees for the use of the ossuarium – as well as adjusting cemetery fees in general – was an item addressed and passed by the Washington City Council during a meeting Wednesday. Like the rest of Washington County, Washington City has experienced continuing growth and the increased demands for the services that come with it, including those associated with someone’s final resting place. Another section of the cemetery lies to the east of the main area, just on the other side of a cluster of baseball diamonds that separate them. That area still has available space for future burials, but with the continuing growth of the city it’s anticipated to fill up in the coming years and require expansion. The expansion will continue northward into a small park that has been used by the city for activities and as a soccer field. “It’s always been planned to phase into that area within a couple of years,” said Barry Blake, the director of the city’s leisure services department, which oversees the cemetery. The eventual expansion is estimated to cost around $350,000. 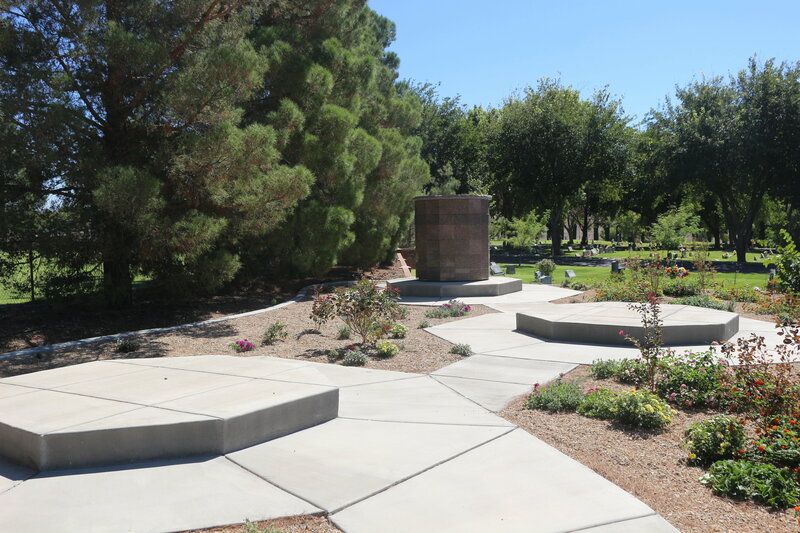 While the expansion is not anticipated to occur for a few more years, the city can now accommodate the interment of cremated remains with the installation of the ossuarium. The ossuarium has the capacity to house 60 individual remains and as well as 64 companion niches that can hold two urns with them. Use of the ossuarium for individual remains will cost city residents $400 and nonresidents $500. The interment of companion remains is $1,000 per niche for residents and $1,250 for nonresidents. Those were among the fees approved Wednesday by the City Council. Neilson said he’s seen a cultural shift toward cremation, adding that many young people he’s spoken to also appear to favor the idea. In Washington City, there has been a demand for a place to inter cremated remains. Not a huge demand, Blake said, but a demand nonetheless. “We can now accommodate that need,” he said. While the city has one ossuarium for the time being, cement pads have already been poured in preparation for two additional ossuariums as the cemetery grows.